I’ve had the biggest thing for Hello Kitty for years and anyone who knows me knows that I love collecting anything HK related. So, when my hubby surprised me with polishes from the Hello Kitty by OPI Collection for Valentine’s, I was beyond happy! 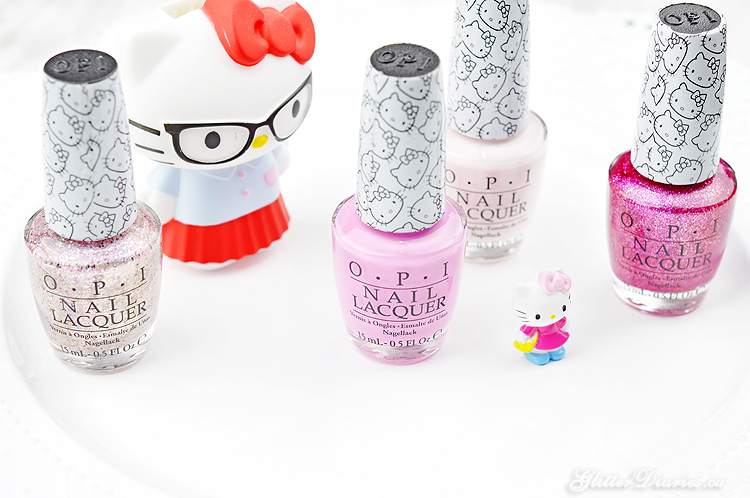 The OPI Hello Kitty collection comes with 12 polishes which include many, many pinks and colours inspired by Hello Kitty’s outfit. The four polishes that I received were part of the collection’s set of pinks, (which shouldn’t be a surprise since I love pink!) which are: Charmmy & Sugar, Starry-Eyed for Dear Daniel, Let’s Be Friends! and Look at My Bow! 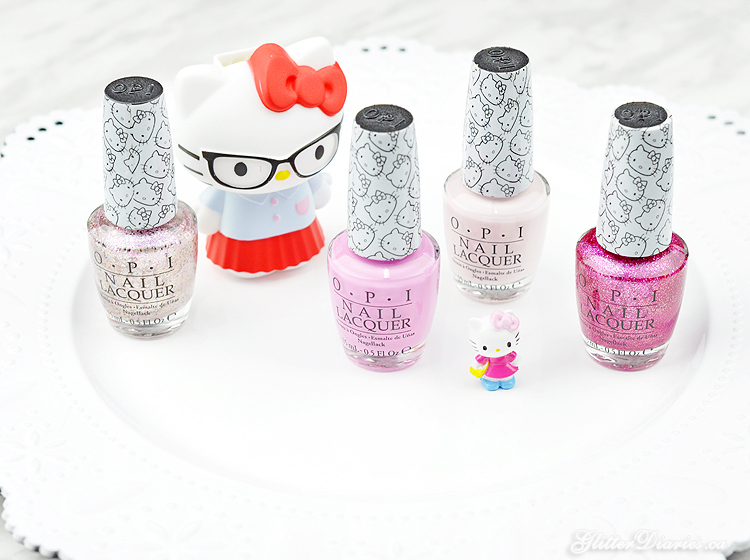 What do you think of Hello Kitty by OPI Collection? Which polish is your favourite?! Share your thoughts below!